Cornwall will be making motorsport history this weekend as the ground-breaking Watergate Bay Speed Hillclimb takes place on the North Cornish coast near Newquay (15/16 September). 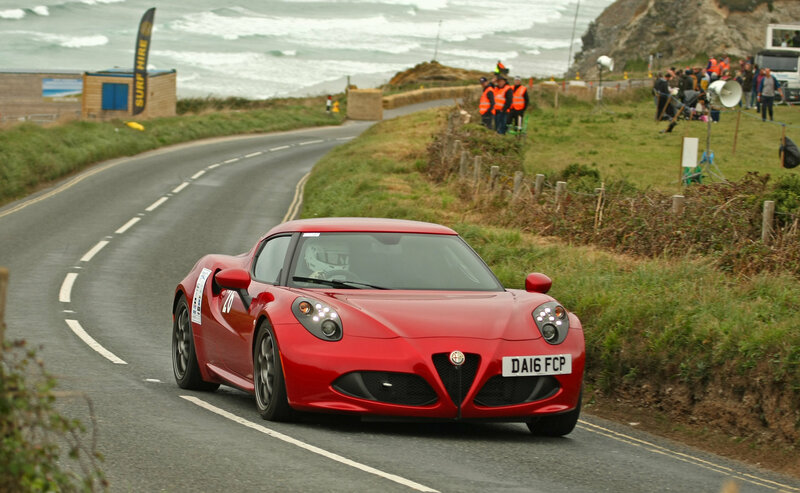 Around 90 cars and drivers from across the UK will compete against the clock, tackling the 720-metre course along the B3276 coast road between Padstow and Newquay. The event marks the first Speed Hillclimb to take place on a closed public road, since the passing of a law in Parliament in 2017 which enables the suspension of the Road Traffic Act for motorsport events. It will be sanctioned by the Motor Sports Association (MSA) which governs the sport in the UK. Local charities benefit from the weekend, with all profits being donated to the Cornwall Air Ambulance and Cornwall Food Foundation, which includes Jamie Oliver’s apprentice training scheme at the nearby Fifteen restaurant. Organisers have been inundated with entries for the weekend which boasts a fantastic mix of personalities and local competitors all eager to play a part in making motorsport history. Ginetta GT5 racer and motorsport star Charlie Martin. is a notable entry on the list, bringing her own Mini Cooper to Cornwall after spending the previous week enjoying the Cornish hospitality and surf in the region. Sadly, FIA World Rallycross ace and Monster Energy Athlete Liam Doran has had to withdraw due to be called up to contest the next round of the series in Latvia by Prodrive. There will be a wide range of cars competing throughout the weekend, divided into 12 classes, ranging from totally standard road going examples to highly modified racers and rally cars. Local drivers have been eager to contest the event which is aiming to become an annual celebration of the sport for the region. Husband and wife team Helen and Gary Pitt from Camborne will be sharing their Suzuki Swift in class A1 (Roadgoing). Whilst they have four other contenders in the class, their biggest rival will undoubtedly be each other. Shelley Deacon has been involved in the organising team of the event, but switches to the driver’s seat during the weekend. Deacon, from St Dennis will drive her Audi TT which she has been using with great success in the British Women Racing Drivers Club Hillclimb and Sprint championships this season. The Watergate Bay Hotel Rally Car Class is well supported, with event sponsor Neil Yates bringing his Rally Prep backed BMW E30 the three or so miles from his St Columb workshop to the hillclimb. A rare MG Metro 6R4, driven by Andy Slade will make the trip from Plymouth and motorsport fans will be in for a treat, undoubtedly hearing the car before seeing it. Spectators will be well catered for during the weekend with trade displays and the chance to walk around the paddock area, as well as scenic spectator areas to watch the action. The Hillclimb will start from 9am on each day and entry to the event costs £10 per adult and the spectator car park can be accessed by travelling along the B3276 from Newquay towards Watergate Bay. There will also be a First Bus service from Newquay to the venue in operation. Deputy Event Director Dave Brenton is delighted with the response to the Hillclimb. “A few years ago, this was just an idea and now this weekend, after many months of hard work, it becomes a reality” he said. “Cornwall is a fantastic place for motorsport and has a very healthy scene which tends to hide itself away, so Watergate Bay is effectively bringing motorsport to the people. We have had lots of support from the MSA and our sponsors, all of which have helped to make this happen and it really is exciting to be making history in the sport. We have a great entry lined up and we think it will be a great weekend for all to enjoy and the plan is certainly to make it an annual event”. 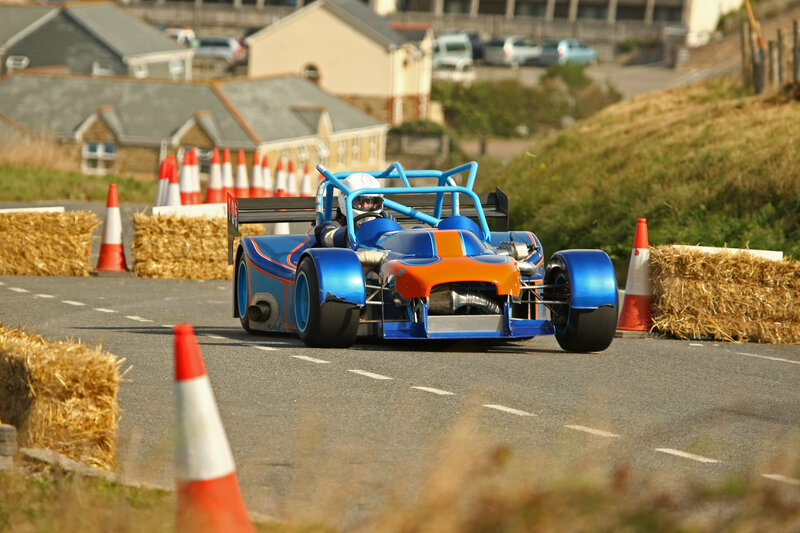 The trailblazing Watergate Bay Speed Hillclimb has attracted a packed entry list for the inaugural running of the 15/16 September motorsport event, with an impressive array of cars and drivers set to head for the North Cornwall coast. Just hours after opening entries for the ground-breaking event, organisers were over subscribed and 90 cars on each day are set to tackle the landmark event which takes place along the B3276 coast road between Padstow and Newquay. This exciting speed event will become the first closed public-road Hillclimb to take place in England. FIA World Rallycross ace and Monster Energy Athlete Liam Doran is a notable entry on the list. Doran, famed for his impressive grit and determination on the motorsport scene, will bring his impressive and ultra-rare Ford RS200 Pikes Peak edition to tackle the hill. With almost 1000 brake-horse-power under his right foot, Doran is one of the favourites to take the maiden hill record. Ginetta GT5 racer and motorsport personality Charlie Martin will also head for Watergate Bay next month but will feel as comfortable on the hill as she does on the circuits around the UK. Martin is no stranger to the sport of hillclimbing, having started her motorsport career in the category and competing in events across Europe. Martin has been contesting the ultra-competitive single make Ginetta series but is chasing a dream to one day contest the infamous Le Mans 24 Hours. Her weekend in Cornwall will see her back behind the wheel of a BMW Mini Cooper however as she heads back to her roots. “It may be the shortest race on my 2018 calendar, but that has no bearing on how excited I am to be competing at Watergate Bay Hillclimb for this historical race” says Martin. “The first ever hillclimb being held on the beachfront, crucially it’s also the first event of its kind being held in the UK since legislation was passed last year allowing the MSA to run closed road motorsport. It’s a great feeling to be one of the first competitors to tackle this picturesque course, especially as I’ll be spending the week before surfing in the area”. The inaugural Watergate Bay Speed Hillclimb has pledged to ensure local charities will benefit from the ground-breaking motorsport event by donating profits to worthy causes. As well as Cornwall Air Ambulance, the Cornwall Food Foundation will be a recipient of funds from the event. We inspire people in Cornwall through food and enable those in greatest need to achieve meaningful change. We do this through training, employment and better life opportunities, while adding real value to the local economy. We are best known for managing the Fifteen Cornwall Apprentice Programme and Jamie Oliver’s Fifteen Cornwall restaurant. With the success of the apprentice programme, we made a conscious decision to further our work within the county through people and food. We are now working on some exciting new projects involving vocational training opportunities and engaging communities through food-related activities focusing on health, education and employment. The Foundation is an ever-evolving charity using food to ignite inspiration and change in us all. It has bigger ambitions. As the Foundation grows, so does its need for further support. Chairman of the Motor Sports Association (MSA) David Richards CBE, headed to Cornwall at the weekend to meet organisers, supporters and members of the media, officially opening entries to the Watergate Bay Speed Hillclimb on 15/16 September. Richards, a former chairman of Aston Martin, and former team principal of the BAR and Benetton Formula One racing teams took time out of his busy schedule to officially announce that entries can be submitted from 8pm on Sunday 15th July at a launch event at WAX, Watergate Bay on Saturday (14th July). Jointly organised by Truro and District Motor Club, Newquay Auto Club and Plymouth Motor Club, Watergate Bay Speed Hillclimb will be the first of it’s kind in the UK since an act of Parliament allowed the suspension of the Road Traffic Act for motorsport events. “This really is just the start of what we, as a sport, can achieve with the new closed road laws” said Richards. “You only have to look at Britain’s round of the World Rally Championship, Wales Rally GB which will be using closed roads extensively in their route to see what is possible. Its great to see that Truro Motor Club and other South West clubs are paving the way towards what I think will be a revolution for motorsport in this country. The Hillclimb, is an eagerly awaited motorsport event, nestled in the North Cornish Coast on the B3276 coast road between Newquay and Padstow. The concept has grown significantly in strength and has gained support from a wealth of local businesses with all profits being donated to the Cornwall Air Ambulance and Cornwall Food Foundation. 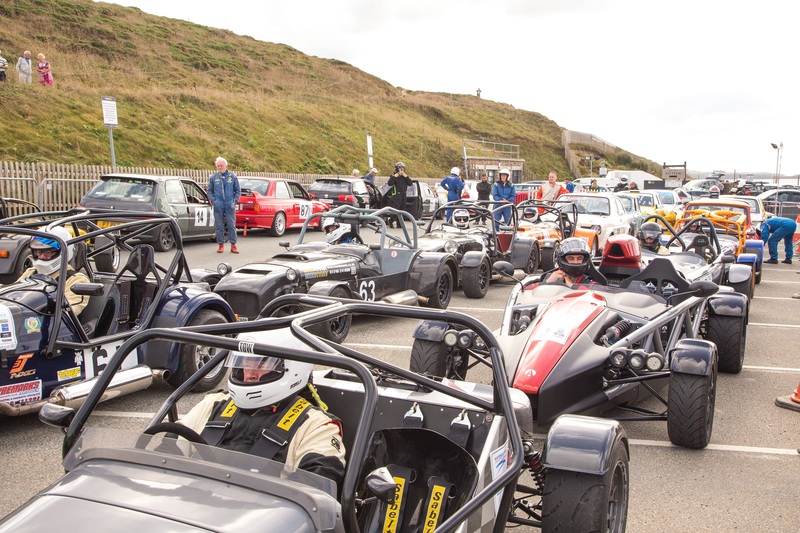 Around 100 competitors on each day are expected to head to the motorsport weekend from across the UK with a wide variety of cars assembling to tackle the 720-metre climb from the Watergate Bay start line towards the finish adjacent to RAF St Mawgan. The new Watergate Bay Speed Hillclimb, Cornwall’s only motorsport event on a closed public road, will take place on the weekend of 15/16 September 2018 after receiving approval from the Motor Sports Association (MSA) this week. Competitors will tackle the course one at a time to try to record the fastest time along a section of the B3276, the picturesque coast road linking Padstow and Newquay. The stretch of road will be temporarily closed to normal road traffic for the duration of the event. The start of the course will be on the road at Watergate Bay, one of Cornwall’s most popular tourist destinations. On each day of the event, a maximum of 90 cars will be allowed to participate. Competitors will race in the direction of Newquay, with the breathtakingly beautiful North Cornwall coastline to their right, and cross the finish line 720 metres further up the hill. 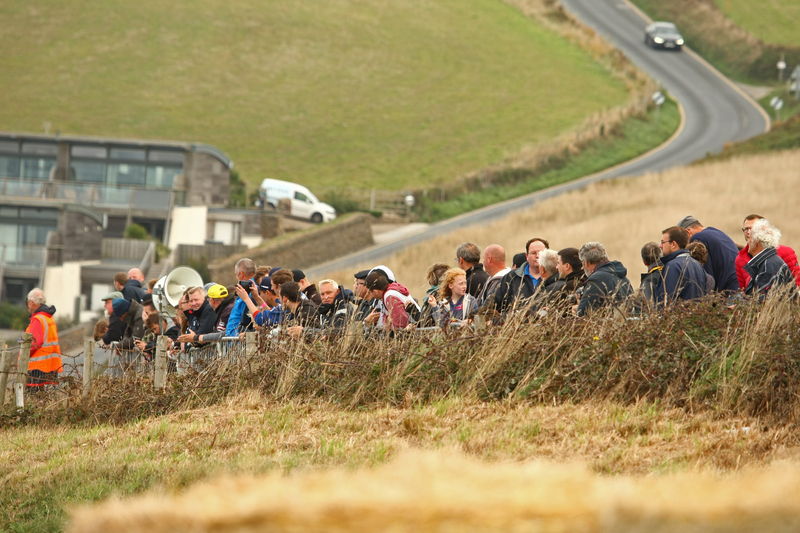 The landmark event, which is being jointly organised by Truro and District Motor Club, Newquay Auto Club and Plymouth Motor Club, has been made possible by the passing of a new law that allows local motor clubs to apply for permission to temporarily close public roads and suspend the Road Traffic Act in order to host motorsport events. It’s the first closed-road hillclimb to receive approval from the MSA, which governs four-wheeled motorsport in the United Kingdom, and the third closed-road event in all. All profits from the inaugural running of the event will be donated to the Cornwall Air Ambulance and the Cornwall Food Foundation, which includes Jamie Oliver’s apprentice training scheme at Watergate Bay’s Fifteen restaurant. The original idea for the event was put forward by Dave Brenton, who is Competition Secretary at Truro Motor Club and also Deputy Event Director for the Watergate Bay Speed Hillclimb. In 2013 he first wrote a letter outlining his proposal to the Watergate Bay Hotel, which is adjacent to the start of the new course, and received the full support of the luxury hotel from the outset.